Trim Acoustics has for more than twenty five years been at the forefront of building acoustics, supplying quality acoustic products from the UK’s major manufacturers to the building industry and domestic market. Providing technical advice, site surveys and specifications to architects and developers, Trim Acoustics can assist with projects ranging from house conversions and new build properties to bespoke designs for customers who have specific requirements. Trim Acoustics offers solutions for floors, ceilings and walls that can achieve Document E standard and with a wide range of quality acoustics products stocked at their Godmanchester warehouse they are able to offer a prompt delivery service direct to site. 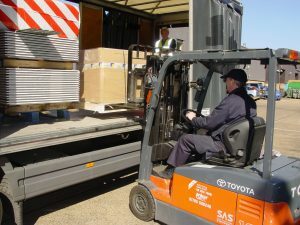 The addition of their new production and warehouse facility in Godmanchester, Cambridgeshire which Trim Acoustics share with their sister company Coburn Sliding Systems has given them the ability to increase production and improve the quality of their range of acoustics products to satisfy increased demand. The domestic market has for many years been one of Trim Acoustic’s areas of expertise, providing acoustic solutions to people whose quality of life has been effected by noise problems. Offering a suitable solution in plain English often means that the noise problem can be identified and resolved on the telephone and within a few days the materials can be delivered to site. Another area of Trim Acoustic expertise is the design of studios, from conversion of a garage or out building to full professional recording studios. Trim Acoustics can also advise on the upgrade of existing home studio or home cinemas. With a wealth of technical expertise and practical experience Trim Acoustics can offer a wide range of solutions via the telephone and on site. See www.trimacoustics.co.uk for more details or call 020-8443-0099.